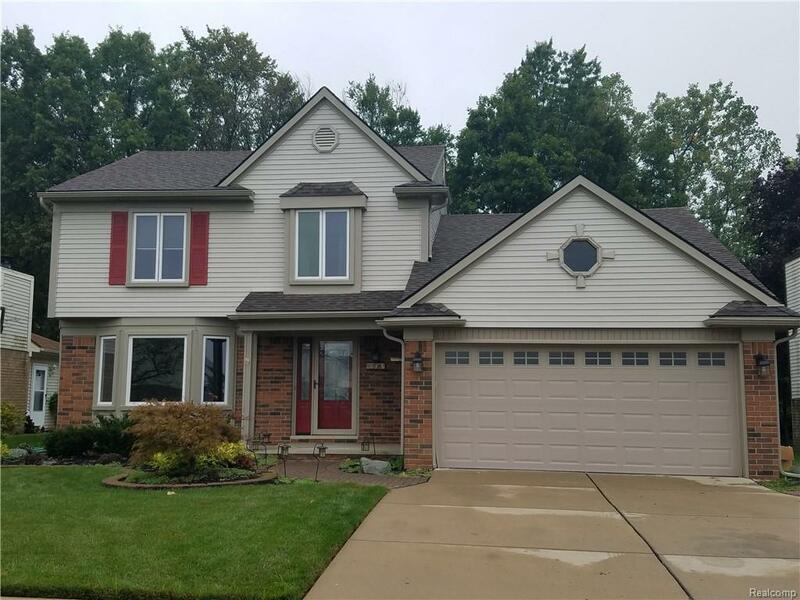 Desirable Woodland Heights Colonial in Brownstown... Custom Craftsman Style oak cabinets, Granite counters, Dual Fuel Frigidaire Stove.... Formal dining room with Oak trim.... Living room with bay window....Great Room with Natural fireplace....Master has WIC and full bath with walk in shower.... Enter the yard from the kitchen to large covered porch leading to a brick patio & pergola that is dripping with a Wisteria Vines. Great for entertaining. Pool with new filter and solar cover(pool was not used this summer)Shed is wired and ready to be hooked up for electric. Yard backs to wood and is very private.... Full Finished basement with tons of storage and glass block windows... Dream Garage is heated has water(Currently turned off) and has a workbench, Air-compressor in attic. Insulated door with opener....First floor has been freshly painted...New roof 2002. New furnace and central air 2013....This home is move in ready. Close to schools, shopping, expressways. A must see.Easy to show.